The Luberon is dotted with villages on the hills. You will truly recharge your batteries at the sight of the Mont Sainte Victoire. The Luberon is dotted with villages on the hills. You will truly recharge your batteries at the sight of the Mont Sainte Victoire. There is a ruin in the field of olive trees which will become a real playground for the children! Thank you to contact the owners if you bring more than one pet. The shower and the sink are in bedroom 2. This villa is made from brick or stone and was originally built in 1850 and refurbished in 2005. The agent has rated it as a two star property so it is a plainly furnished villa with limited facilities. It is ideal for a cheap holiday. 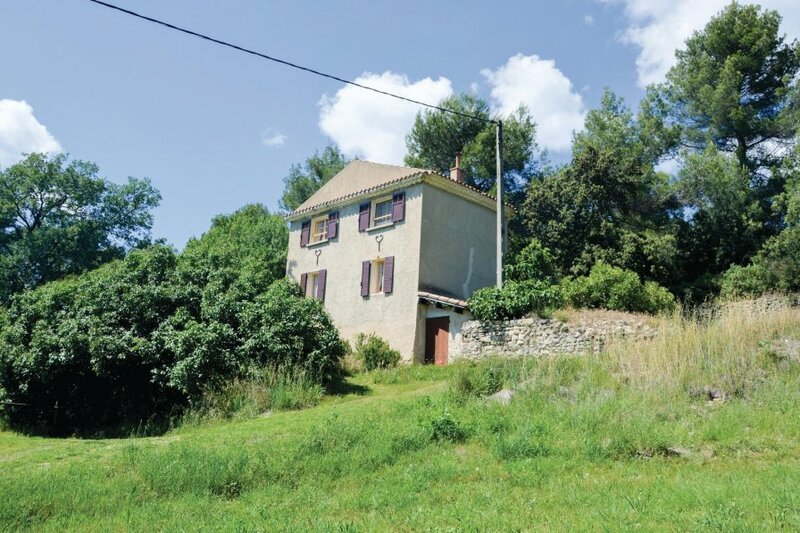 This villa has view over the landscape and is located in Grambois, only 12km from Pertuis. It is set in a good location, 5km away from a lake. There's also a restaurant 2km away. You can also park on-site at no extra charge. The villa is adequately equipped: it has a refrigerator and microwave. It also has some garden furniture outside.